Help us with spanish section! Home Rammstein Help us with spanish section! I have just installed Spanish subdomain of Affenknecht. Now I am looking for people from spanish speaking countries to help me translate the content. We need to translate for example the books section, frequentaly asked questions and much more. If you are interested in cooperation, plese send me an email to [email protected] I hope we will complete this language soon! ??? ??? ???????? ?, ???? ????? ? ?????? ????? ????????? ?, ?? ?????? ???? ????? ??????? ????? ?? ??? ?????? ??? ?? ?? ??????? ????????. well i’m offer myself too i`m from south america and i speak english and i can write it too. just sent me an email. I offer myself for translating anything, I've just sent you an email. I used to work at the British Embassy in Havana translating all kind of stuff into spanish. I really like this band, and it will be a pleasure for me if I could do something to help to divulge their music. Ola. Claro q si, vamos con el site en EsaÃ±ol. Maileame y decim q kerÃ¨s q traduzca, espero el mail. —–By tha wey, pueden confirmar el tour para latinoamÃ¨rica 2008??? I'm studying translation, I LOVE Rammstein and I speak/write both English and Spanish. Just let me know what do you need. I speak spanish and english, and a bit of german too. Ive sent you an email but failed to deliver… if you still need help, contact me. OK people. Who wants to help us, please send me an email to xeternal[at]seznam.cz and I will tell you some more info about it – and tell you what to translate. I am also searching for admin, whou would like to post news on spanish section. That's really surprising External o_O But it's fine. Looks like Sarah is willing to help. 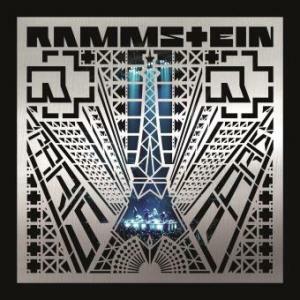 I LOVE Rammstein and I speak English and Spanish fluenty, I'd be willing to help…anything for Rammstein!!! Oh……..Okay. Do you happen to be a member of the Rammstein Community? Make a thread there for help. There are lots of Spanish fans there who I bet would be willing to help. If you're not I can make a thread there letting them know for you. Adminstrators of other websites usualy don't want to work on some other web, because they want to improve their. That's why I am looking for somebody who is free to make it for this domain. Go to http://www.rammsteinclub.com the runner of that website can help you, she speaks English, or if you are a member of the FA (Rammstein Community) PM her, her name is xixi on there.